Who is using this index? Or, to put it another way, I want to change or drop this index, who and what will I impact? The problem that I am going to outline is certainly not exclusive to PeopleSoft, but I am going to illustrate it with examples from PeopleSoft. I often find tables with far more indexes than are good for them. The Application Designer tool makes it very easy for developers to add indexes to tables. Sometimes, too easy! Sometimes, DBAs are too quick to unquestioningly follow the advice of the Oracle tuning advisor to add indexes. Recently, I have been working on 3 different PeopleSoft Financials systems where I have found major tables with a host of indexes. Indexes are maintained during data modification. The more indexes you have, the greater the overhead. The more indexes you have, particularly if they lead on the same columns, the more likely Oracle is to use the wrong one, resulting in poorer performance. There is of course also a space overhead for each index, but this is often of less concern. If you can get rid of an index, Oracle doesn't store, maintain or use it. In some cases, I have wanted to remove unnecessary indexes, and in others to adjust indexes. However, this immediately raises the question of where are these indexes used, and who will be impacted by the change. Naturally, I turn to the Active Session History (ASH) to help me find the answers. ASH reports the object number, file number, block number and (from 11g) row number within the block being accessed by physical file operations. However, the values reported in v$active_session_history (and later other views) are not reliable for other events because they are merely left over from the previous file event that reported them. So, we can profile the amount of time spent on physical I/O on different tables and indexes, but not for other forms of DB Time, such as CPU time, spent accessing the blocks in the buffer cache. Let me take an extreme example from PeopleSoft Global Payroll. The table PS_GP_RSLT_ACUM is one of the principal result tables. It has only a single unique index (with the same name). The table is populated with the simplest of insert statements. 30% of the time is spent on CPU operations, we cannot profile that time further with ASH. 38% of the time is spent reading from the table and index, yet this is a simple INSERT … VALUES statement. More time is spent reading the index than the table. That is not a surprise. When you insert a row into a table, you also insert it into the index. Rows in index leaf blocks are ordered by the key columns, and the new entry must go into the right place, so you have to read down the index from the root block, through the branch blocks, to find the correct leaf block for the new entry. Now I can see upon which objects the most time is spent on physical I/O. This is a worthwhile exercise, it shows the sources of physical I/O in an application. However, if you want to find where an index is used, then this query will also identify SQL_IDs where the index is either used in the query or maintained by DML. If I am interested in looking for places where changing or deleting an index could have an impact then I am only interested in SQL query activity. ASH samples which relate to index maintenance are a false positive. Yet, I cannot simply eliminate ASH samples where the SQL_OPNAME is not SELECT because the index may be used in a query within the DML statement. Another problem with this method is that it matches SQL to ASH by object ID. If someone has rebuilt an index, then its object number changes. A different approach is required. During an AWR snapshot the top-n SQL statements by each SQL criteria in the AWR report (Elapsed Time, CPU Time, Parse Calls, Shareable Memory, Version Count) , see dbms_workload_repository. The SQL plans are exposed by the view DBA_HIST_SQL_PLAN. On PeopleSoft systems, I generally recommend decreasing the snapshot interval from the default of 60 minutes to 15. The main reason is that SQL gets aged out of the library cache very quickly in PeopleSoft systems. They generate lots of dynamic code, often with literal values rather than bind variables. Cursor sharing is not recommended for PeopleSoft, so different bind variables result in different SQL_IDs. The dynamic code also results in different SQL IDs even with cursor sharing. Therefore, increasing the snapshot frequency means that will capture more SQL statement. This will increase total volume of the AWR repository simply because there are more snapshots. However, the overall volume of ASH data captured does not change, it just gets copied to the repository earlier. On DBA_HIST_SQL_PLAN the object ID, owner, type and name are recorded, so I can find the plans which referenced a particular object. I am going to carry on with the example from a PeopleSoft Financials system, and look at indexes on the PS_PROJ_RESOURCE table. These are some of the indexes on PS_PROJ_RESOURCE. We have 4 indexes that all lead on PROCESS_INSTANCE. I suspect that not all are essential, but I need to work out what is using them, and which one I should retain. I find it easier to extract the ASH data to my own working storage table. For each index on PS_PROJ_RESOURCE, I am going to extract a distinct list of plan hash values. I will then extract all ASH data for those plans. Note, that I have not joined the SQL_ID on DBA_HIST_SQL_PLAN. That is because different SQL_IDs can produce the same execution plan. The plan is equally valid for all SQL_IDs that produce the plan, not just the one where the SQL_ID also matches. 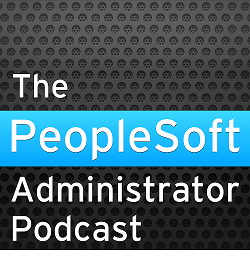 I am fortunate that PeopleSoft is a well instrumented application. Module and Action are set to fairly sensible values that will tell me whereabouts in the application the ASH sample relates. In the following query, I have omitted any ASH data generated by SQL*Plus, Toad, or SQL Developer, and also any generated by Oracle processes to prevent statistics collection jobs being included. I now have a profile of how much each index is used. In this particular case I found something using every index. It is possible that you will not find anything that uses some indexes. I have found that sometimes a plan is captured by AWR, but the SQL statement is not. Personally, I think that is a bug. Working around it has made the following query quite complicated. So now I can see the individual SQL statements. If I replace the last select clause with the commented line, then I can generate the commands to extract the statement and plan from the AWR repository. Ultimately, I have needed to look through the SQL plans that use an index to decide whether I need to keep that index or decide whether the statement would perform adequately using another index. In this case, on this particular system, I think the index PSMPROJ_RESOURCE would be adequate for this statement, and I would consider dropping PSLPROJ_RESOURCE. I carried on with examination of SQL statements and execution plans to determine whether each index is really needed or another index (or even no index at all) would do as well. This decision also requires some background knowledge about the application. Eventually, I decided that I want drop the J, L and N indexes on PROJ_RESOURCE and just keep M.
AWR does not capture all SQLs, nor all SQL plans. First the SQL has to be in the library cache and then it must be one of the top-n. A SQL that is efficient because it uses an appropriate index may not be captured, and will not be detected by this approach. This might lead you to erronously believe that the index could be dropped. ASH data is purged after a period of time, by default 31 days. If an index is only used by a process that has not run within the retention period, then it will not be detected by this approach. This is another reason to retain ASH and AWR in a repository for a longer period. I have heard 400 days suggested, so that you have ASH for a year and a month. However, this also causes the SYSAUX tablespace to be become very large, so I would suggest regularly moving the data to a separate database. I know one customer who has built a central AWR repository for all their production and test databases and automated regular transfer of data. That repository has been of immense diagnostic value. [Update] This analysis will not detect index use in support of constraint validation (PeopleSoft doesn't use database referential integrity constraints). As Mark Farnham points out below, that may be a reason for retaining a particular index. Obviously any index changes need to be tested carefully in all the places that reference the index, but on the other hand it is not viable to do a full regression test every time you want to change an index. Therefore, if all the testing is successful and you decide to go ahead and drop the index in production, you might prefer to make it invisible first for a while before actually dropping it. It is likely that the indexes you choose to examine are large and will take time to rebuild. An invisible index will not be used by the optimizer, but it will continue to be maintained during DML. If there are any unfortunate consequences, you can immediately make the index visible without having to rebuild it.